The SRB Titan III Magnet Clamp is comparatively smaller and lighter than most other equivalent strength magnets clamps on the market. Its shear strength capacity substantially outperforms most other equivalent pull down strength magnets on the market. The fully sealed housing protects from dirt and foreign metallic magnetic matter whilst the structural polymer housing minimises concrete adhesion / stick and allows easier cleaning and maintenance. The handle operation to engage and disengage the magnet clamp is incredibly easy, making the Titan III Magnet Clamp far more efficient and user-friendly than systems that rely on bars and levers to operate their clamps. A de-magnetising plate in the rear prevents accidental engagement and the clamp has no shear zones. 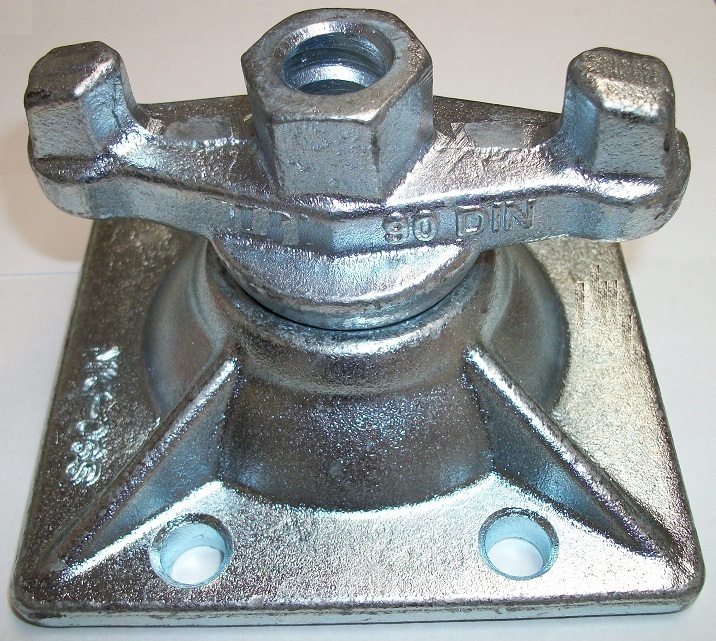 Its design substantially reduces construction noise compared with other steel and aluminium bodied magnet clamps. The Titan III Magnet Clamp fulfils Occupational Health and Safety requirements and is one of the safest magnetic clamps on the market for operational use and handling. The Titan III Magnet Clamp is also designed to absorb production vibration, once again, outperforming the majority of other magnets in the market on vibrating beds and tables. A semi-engagement function allows for fine positioning adjustments to shuttering / edgeforms without the need to hit the magnet clamps with hammers. This prolongs the operational life span of the clamp.